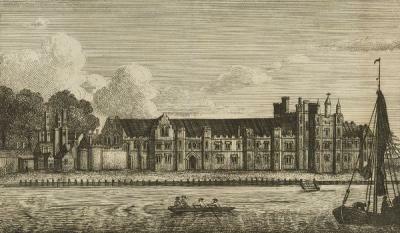 Greenwich Palace (the Palace of Placentia) was used as a royal residence from the 14th century and was the location of many important events – the birth of Henry VIII, the births of Mary I and Elizabeth I, and the death of young Edward VI. Like Edward IV and Henry VII, Henry VIII worked on the palace enlarging it and remodelling it to suit his tastes and needs. Unfortunately, it was demolished in the 17th century but is now the location of the Old Royal Naval College and the National Maritime Museum & Royal Observatory. Greenwich Palace was the setting of the May Day jousts of 1536.